Right after Thanksgiving, the great shopping wave begins, with three major shopping events within just 4 days: Black Friday, Small Business Saturday and Cyber Monday. This is great news for all businesses, but it’s even more important for small businesses. In fact, according to the National Retail Foundation’s 2014 report, up to 40% of small and medium sized retailers’ yearly sales come from the last two months. That’s right, Black Friday is the beginning of the pretty much non-stop sales bonanza lasting all the way until the new year. Actually, some studies by the National Retail Foundation show that the shopping wave even begins before Halloween. These three days, Black Friday, Small Business Saturday and Cyber Monday cover most types of small businesses. Black Friday is geared toward the retailers, Small Business Saturday’s purpose is to support small business and can be generally applied, and Cyber Monday is a great opportunity for SaaS and other tech-related small businesses. So now that you understand the importance of this long weekend, what’s the best way to get the customers to come to you? After all, if it’s such a big retail weekend, how will you compete? Well, here we have some amazing ideas for small businesses to use the Black Friday, Small Business Saturday and Cyber Monday long weekend to generate high sales. Although this one is usually the first idea businesses jump to when it comes time to do a sales campaign, it doesn’t have to be applied at all. In fact, there are many arguments for why discounting is bad for your sales in general. They are used by the bigger boys like Amazon, Best Buy and others whose margins can afford discounts. Perceived devaluation of the product or service-when you sell your product for a much, much lower price, you might be saying that this is actually what the value of the product is. Lack of confidence in your product or service—related to its value, the deeply low prices can also signal that you have no confidence in your product, be it for its quality, effectiveness, or market need. Creating a precedent for unrealistic low prices—discounts can be a slippery slope. What turns into a one-time thing can snowball into consistent price cuts. Your customers will also be waiting for discounts to purchase your goods or services, and your standard price and profit margin will have to decrease. There are many more negative aspects to it, but these are the main ones that should persuade you against offering deep discounts. Instead, try these other ideas first. Now that you know what not to do, let’s look at a really great idea. Instead of selling just your product, you can sell your product or service bundled with other products or services. You can think of this as ‘upselling’ rather than discounting. If you are a web designer, you can sell your website template, and for just $15 more, you can offer a two-year extended support (or lifetime support). For handymen (especially on Small Business Saturday), you can sell something like repair services with extra maintenance for just $50 more. You can even go further and offer a buy product or service X and get service/product Y for free. It’s best if your ‘Y’ consists of ebooks, online video courses, or other similar things that won’t hurt you financially to give away for free, but which provides great additional value to your customer. Instead of waiting until Thanksgiving to start getting the word out about your campaign, you should probably start a few weeks earlier. For this year, it would have been unwise to do your sales campaign the week of the US elections. Instead, do it beginning the Friday or Saturday after, once people have begun to focus on other things. You can start sending out hints, tweets and Facebook posts about your upcoming sales about two weeks before the Black Friday, Small Business Saturday and Cyber Monday weekend. While you’re at it, if you have an email list and you send out regular newsletter (even if you don’t), send these hints to your subscribers as well. If you start it early and build to a crescendo, you’ll get ahead of the pack, especially when a wave of advertisements will drown out any message that you send out later. For retailers, physical goods providers and those who offer other services, it’s important to extend your sales campaign not just “outside your doors,” but inside as well. For retailers, this has the most practical impact. Many small businesses and retailers spend a lot of their campaigns on getting people from the outside into your stores. But what about the ones inside? Here you should have another strategy to incentivize your existing customers to buy more, or to, for example, give a successful referral and getting a prize or discount to their next purchase. For eCommerce small businesses, you can send your discount cards or other incentives in the mail when you deliver their products. 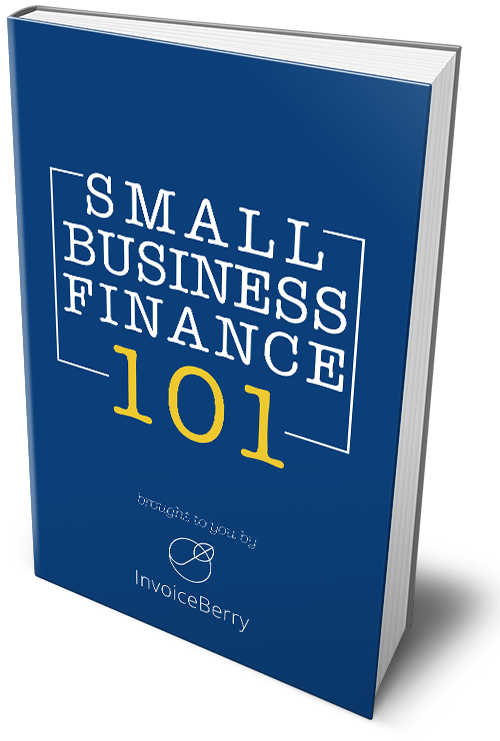 For other types of small businesses, you can add those incentives right in your invoice. In fact, although many people don’t utilize it, invoices can be a great marketing tool. And with your sales weekend approaching, it can be a great campaign tool. This is one that is more about building your brand than getting an increase in customers. Of course, you can use it as a marketing tool, but that may be very close to, or crossing, the ethical line. What this essentially means is that you can put a notice in your campaign materials, whether physical or digital, notifying the viewer or reader that a certain percentage or amount of sales will go to a certain charity. This can be especially important right after Thanksgiving, and especially between that holiday and the Christmas season, when good moods are high. Again, I would advise you not to do this solely as a marketing tool, but also as one, and the difference is significant. If you are doing it also as a marketing tool, it means the idea or method has already been considered, meaning you already have a good idea of what charity you’d like to support. In that case, this would be the perfect occasion to start it, and hopefully continue for much longer. Even if this specific part of your Black Friday weekend campaign doesn’t bring in many extra sales, it will create loyal and proud customers and employees. As part of your sales campaign and incentive, you can create a contest to get your customers and potential customers excited for the Black Friday, Small Business Saturday and Cyber Monday weekend. The ideas are really limitless. The lightning round quiz doesn’t have to be spontaneous, and the customer doesn’t necessarily have to be unaware of it. It can be posted or advertised in advance to drum up excitement. One of the best, and more general tips, is to be creative in your campaigns. I’ve said before, the Black Friday, Small Business Saturday and Cyber Monday can be described as a mad dash, without exaggerating the situation. When you are creative or in some way unique, you will be able to stand out. You can create interesting signs, treasure maps, or anything similar near your physical shop to entice customers just to come check you out. You can also do the same on social media, although with a slightly different approach. There is, of course, another way to be different for that sales weekend. That would be to not participate in this mad dash at all, such as these companies from last year. Although the idea seems like the very opposite of increasing sales on the Black Friday weekend, and it is, you should instead change that on to from. Instead of sales on that weekend, you can make sales from that weekend. Closing your doors, taking a stance, and offering your customers peace and prosperity instead can help you increase your brand loyalty. You can vehemently and ideologically state that you will not participate in the craziness, and instead will focus on your family (or something). Let your customers know that you’ll be back on business and waiting for them as well. You’ll definitely stand out. This works best if you truly believe it. These are some great ideas to increase your small business sales on and from the Black Friday, Small Business Saturday and Cyber Monday weekend. When you’ve implemented these, starting today, you’ll see some great increases in your business. Got any other great tips and tricks for the Black Friday weekend? Let us know in the comments below!